Owning an aging dog can be difficult at times. Although they still provide plenty of love, older pets more commonly suffer from a variety of ailments including loss of hearing, cataracts that might lead to blindness, tooth loss, joint pain and other health issues associated with age. Watching a beloved pet get up there in years can be tough, but responsible pet care and a watchful eye for any medical issues can help your sweet pup stay healthy and happy for as long as possible. 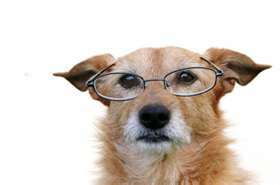 Senior pets should also see a vet at least twice a year depending on their condition for professional advice. Hearing loss is fairly easy to detect. It’s usually noticed when a dog stops responding to words and whistles that he used to be receptive to. This may be due to a simple buildup of ear wax that can easily be cleaned out by your vet and maintained at home with an ear cleanser. You should make an appointment with your pet’s veterinarian to determine the cause of hearing loss. Cataracts are also fairly easy to detect. Even early on, there is a light bluish clouding of the eyes. Cataracts cause blindness and although they can be removed with surgery, this procedure can be pricey. To possibly prevent eye issues and support overall eye health, a vision supplement like OcluVet eye drops might be worth considering. These types of supplements are rich in antioxidants and are effective in maintaining and improving canine vision. Teeth should also be regularly checked for tartar buildup. Routine home care and veterinary teeth cleanings can help your dog’s teeth stay clean and healthy into his later years. Tartar buildup, if left untreated, can cause heart and kidney problems. A lifelong commitment to good oral care can prevent problems for your pup later in life. 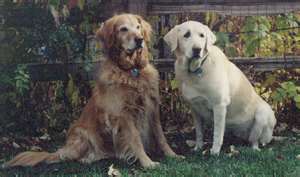 Perhaps the most common issue seen in older dogs is joint pain. Although certain breeds are more susceptible to this problem than others (particularly larger dogs such as Great Danes and German Shepherds), many senior dogs suffer from joint pain and arthritis. Signs of joint pain include limping, the inability to go upstairs, the inability to jump on and off furniture and even the need to get help when getting up from a lying position. Joint pain results from the lack of healthy cartilage that cushions the two bones meeting each other in a joint. As this cartilage diminishes with age, the bones may actually meet each other without the former cushioning cartilage they had, causing joint pain. Humans, cats and other animals suffer from this as well. To combat this common problem, it’s a good idea to discuss a joint supplement regimen with your dog’s veterinarian. Chondroitin and Glucosamine have been proven successful in diminishing joint pain by actually improving the health of the cartilage. Glucosamine is a major factor in keeping the cartilage “hydrated” because it produces certain molecules that bind and hold water in the cartilage. Chondroitin contributes to the structural component of cartilage, increasing its ability to resist compression. Canine joint supplements that contain these two ingredients, such as Cosequin and Dasuquin, are a smart way to prevent joint health issues and to contribute to healthy mobility. By looking out for these common conditions and providing plenty of love and care, you can help your furry best friend live his golden years to the fullest! Kirby and I are excited to welcome our newest contributing writer to our pack! 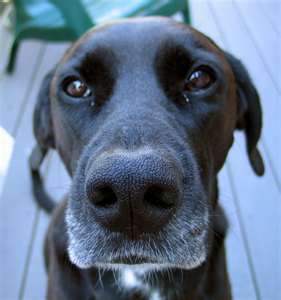 VetDepot is a great online store where you can purchase quality medication products at the lowest prices for your pets. Their industry professionals will be contributing a post every month for our readers with helpful and informative articles about pet health to help your pet live a long, comfortable life.